Linnaeus lived in Stockholm for a while with the apothecary Warmholtz, owner of the Markattan (The Guenon) Pharmacy. In Warmholtz’ laboratory he had an opportunity to learn some of the fundamentals of pharmacy. Most medicines were made from plants. Linnaeus’ knowledge of botany was very useful, of course. It was in the interest of Sweden to take inventory of domestic resources, including medicinal plants. Linnaeus undertook a number of trips paid for by the state. His travels throughout the country were a major source of the material that Linnaeus based his medical knowledge on. Medicinal plants were registered with regard to how they were used for various diseases, their prevalence, and their potential for cultivation. On some of his journeys Linnaeus also asked about and described household remedies, quackery, and superstitions. He took notes on ways of living and their consequences – both healthful and harmful. He jotted down what people ate, the consistency of the food, and how it was prepared. Linnaeus discussed all of this in multiple writings. Linnaeus also had a fairly firm opinion about what should be recommended to maintain good health. With a highly constrained travel budget, at the age of 25, and with simple equipment, Linnaeus rode out of Uppsala on horseback on May 12, 1732, starting his journey to Lapland in northern Sweden. After many adventures, he returned on October 10 the same year. His observations and descriptions garnered international attention. The illustration shows the English edition from 1811. 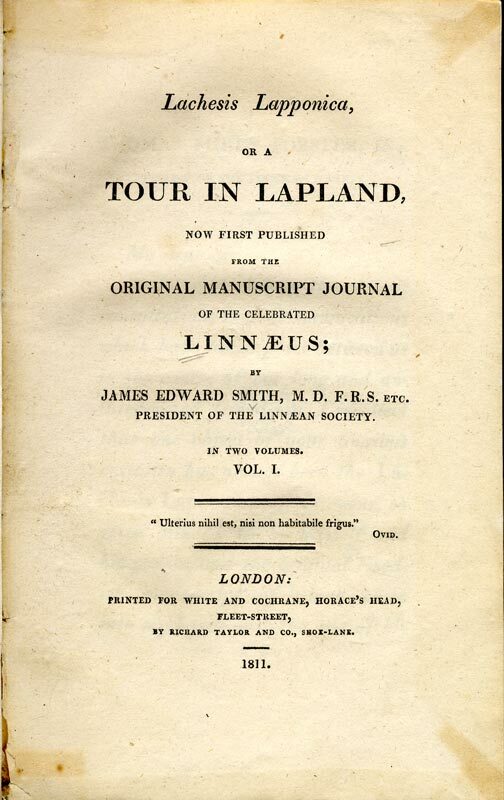 When Linnaeus returned from his travels in Lapland (1732) he taught general botany and dietetics (health). He felt dietetics was in need of thorough reform and wrote Diaeta naturalis (1733), which contains a number of rules for living that are not limited to medicines and food. These rules, from the perspective of our time, are a mixture of well-founded but sometimes perhaps self-evident advice. They also include a few dubious claims. “Humans are animals and should live as an animal of that nature” is something we might agree with. A wife should be healthy, young, cheerful, and beautiful (“Conjux sit sana, juvenis, hilaris, formosa”) may be healthful for the husband, but with time the wife grows older, and the question arises whether Linnaeus means that she should then be replaced – for the sake of her own health, so to speak? The first rule in Diaeta naturalis states that every living being gives birth to its own kind (“Omne vivum parit sui simile”). This view was formed at a time when genetics and laws of heredity were unknown, so it is not surprising that Linnaeus sometimes reached some faulty conclusions in the balance between nature and nurture. Now and then he mentions how diseases may be transmitted from parents to children by improper living or deficient bodily or mental characteristics, such as manias, tuberculosis, kidney stones, and rheumatic arthritis. Even a man’s toothaches could lead to toothaches among his children and grandchildren (The dissertation Grunderna till hälsan (Foundations of health), 1756, page 7). In later journeys commissioned by the Estates of the Realm, there were instructions regarding “What plants and natural objects used by pharmacists but hitherto normally brought in from abroad might be available within the country” (Journey to Öland 1741). The interest in natural science on the part of the rulers of the country was focused on the economy of the nation. 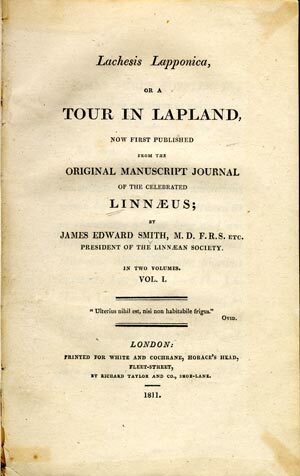 One meeting took up a proposal that Linnaeus might undertake a journey to Öland, Gotland, and other places to explore whether herbs or types of grass are available for use by apothecaries or as dyes. Linnaeus was summoned to such a meeting, and the result of the deliberations was that the Estates would commission Linnaeus to make a trip to Öland, Gotland, and also to Västergötland to find out what animals, plants, and minerals could be exploited for the prosperity of the nation. More about Linnaeus’ work in the field of pharmacy can be found under the heading: Linnaeus’ importance to the art and science of medicine ((Materia medica), and The Swedish Pharmacopoeia).